No one enjoys getting into a car accident. But what if you decide to leave the scene before the police arrive? For instance, let’s say you’re driving to work and at a stop light you rear-end the car in front of you. The damage is rather minor and neither is hurt. As you get back in your car, you decide that the accident isn’t severe enough for the police to show up and drive away from the scene. You just committed a crime. Hit and run accidents can carry a serious criminal charge in Texas, especially if your accident had caused an injury or property damage. No matter how severe the accident is, leaving the scene of an accident can range from a misdemeanor to a felony charge. Leaving the scene of an accident involving a death or serious injury is a third-degree felony and can lead to up to 10 years in state prison. A hit and run accident involving a minor injury, it’s still a felony punishable by up to one year in county jail or five years in state prison and a $5,000 fine. Leaving the scene of an accident involving damage more than $200 is a Class B misdemeanor with up to six months in a county jail. But what if you’re injured in a hit and run accident? Who will pay for you injuries? Unfortunately, it can be difficult to determine who the driver was, especially if you fail to get any information on the vehicle such as make, model, or license plate number. This is when it’s important to have an experienced car accident lawyer by your side to help you with the insurance company. 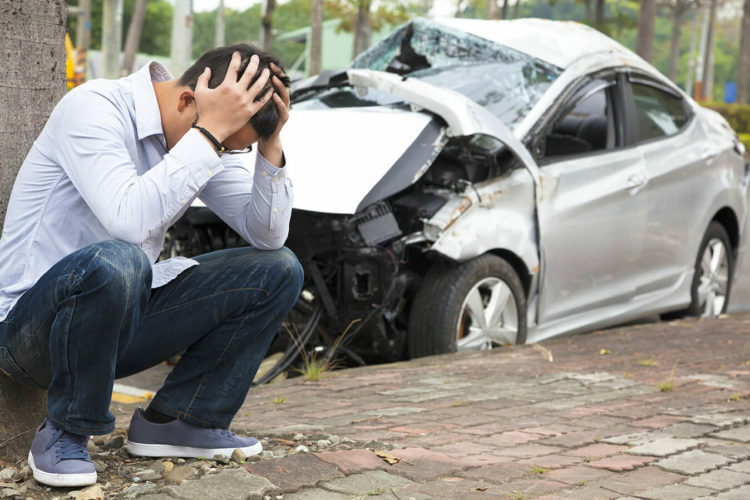 If you get into a car accident and the other driver flees the scene, let us help you with the insurance company. Contact the Houston car accident attorneys at de Lachica Law Firm, PLLC, today for a free consultation.